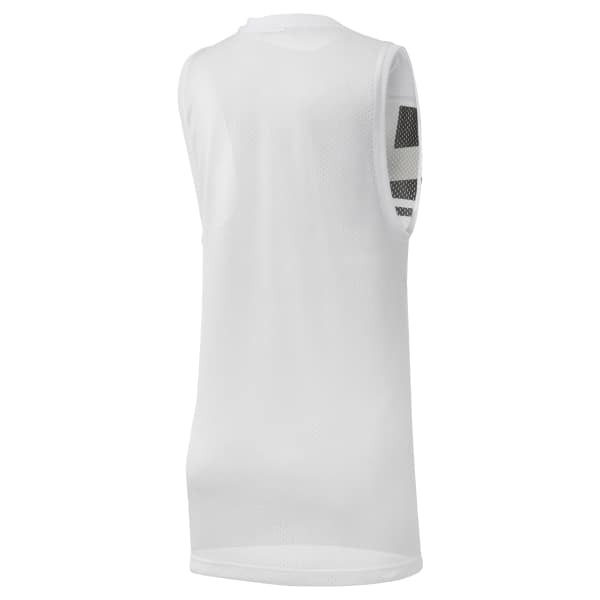 From the studio to the street, this women's tank top transitions with you throughout your day. Made from breathable mesh, the hardwood-inspired style channels on-the-court confidence in a bold design. A loose, elongated shape provides extra coverage, while sweat-wicking fabric keeps you cool and dry wherever you are. An oversize graphic on the front flashes Reebok pride.